Fancy dress reinvented. 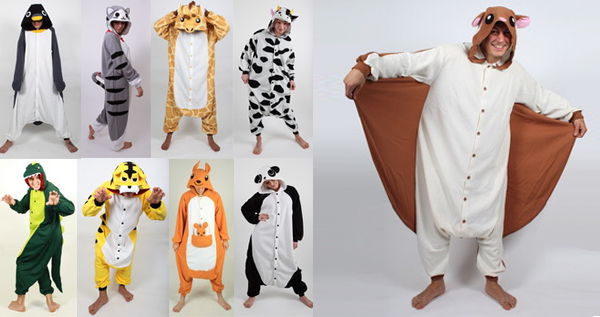 Here we have Kigu animal costumes, they are hugely popular in Japan, where they are worn as both streetwear and pyjamas! Kigus hang loosely on the body, which makes them really comfy and unrestricting. You can slip in and out of a Kigu in seconds and you can even wear your own clothes underneath!